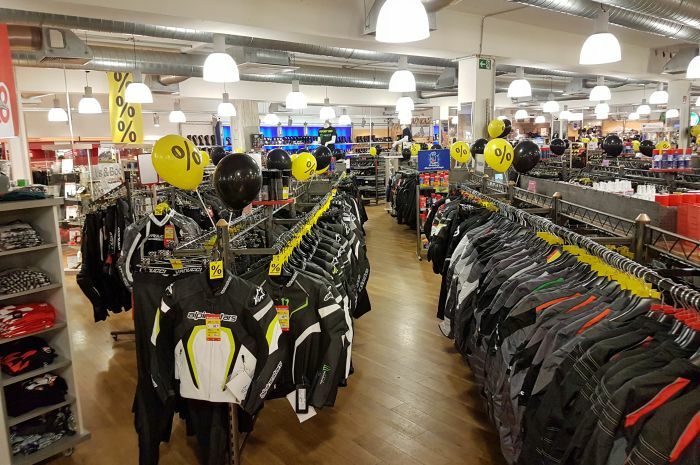 It's always worth a visit to our Louis MEGAShop in Weil am Rhein. 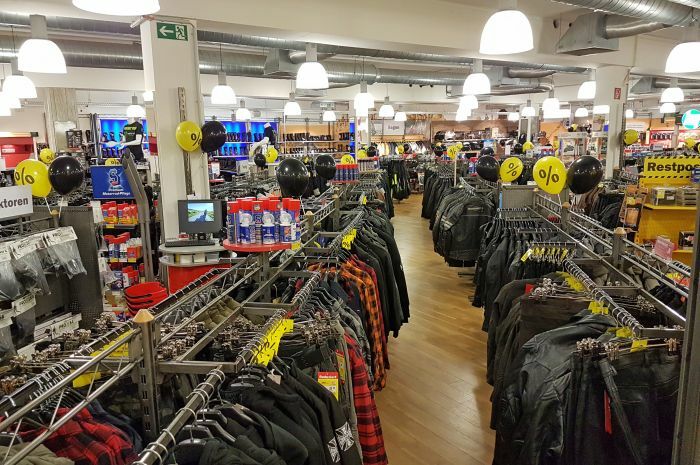 Located in the "border triangle" of Switzerland, France and Germany, this branch of Europe's no. 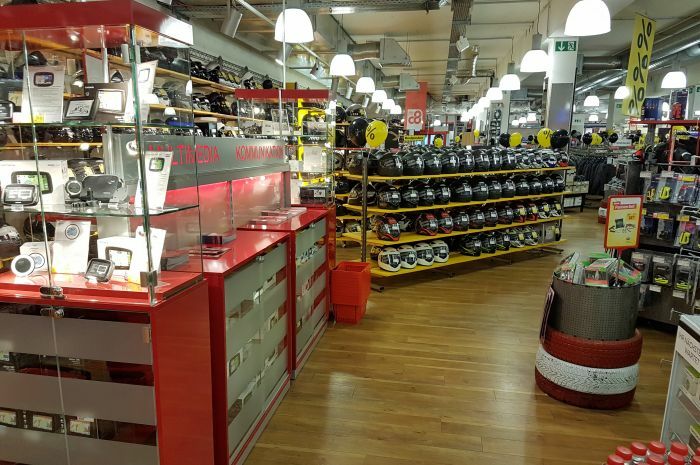 1 for motorcycling and leisure offers a fantastic range of motorcycle-related goods. • not only are our Swiss customers welcome to pay in Swiss Francs, we also refund the VAT in compliance with legal requirements. 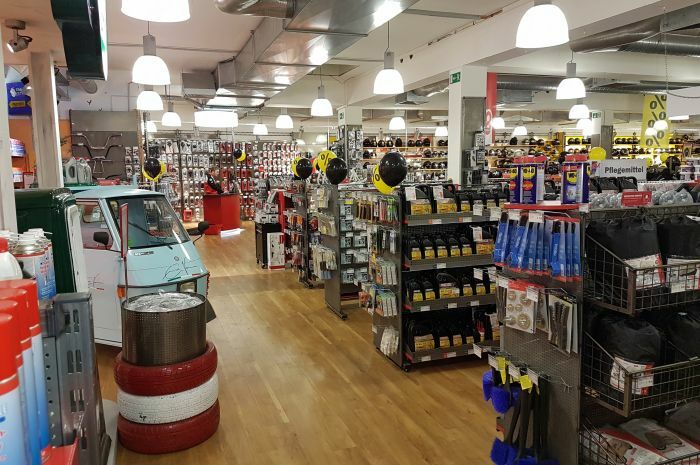 Between the proximity to the A5 motorway, the excellent transport links or just the ample on-site parking – we know that we can guarantee you an extremely relaxing shopping experience, and a friendly and professional Louis service team to help you with all your queries. 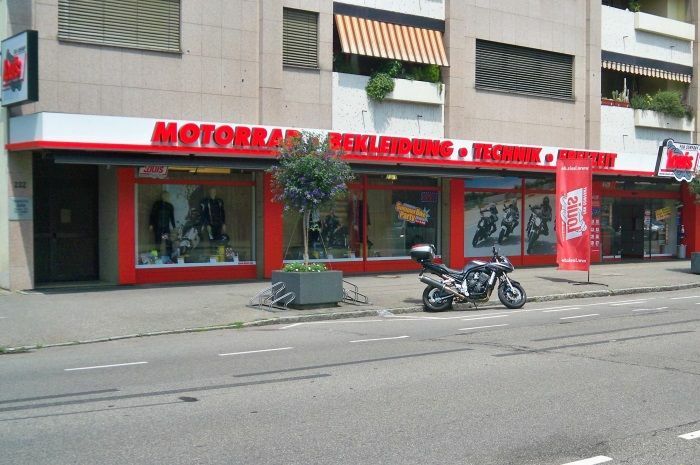 And for all our motorcycle enthusiasts from across the border in Switzerland and France, we also offer our usual expert and specialised customer advice in French and Italian. By the way – with the Black Forest behind you, the "Grand Tour of Switzerland" ahead, Vosges to your left and the Rhine Falls-Lake Constance region to your right, we defy you not to find an amazing bike tour!